There’s no doubt that combining passion, hard work and hands on experience, whilst putting the customer first bodes well when establishing a career in Agrifinance. That’s exactly what Stockco’s Business Manager, Caitlin Pearlman has done and brings a wealth of experience from working in some of Australia’s largest banks and the Agribusiness Banking Sector for the last nine years. 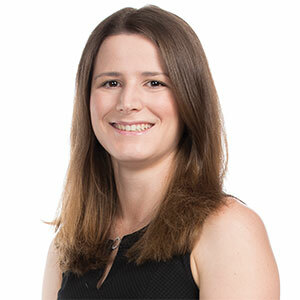 Focused on the future, Caitlin has been appointed to continue the growth of Stockco’s business in Australia by bringing technology and innovative processes to assist grazier and feedlot operations access Stockco’s fast and simple livestock finance products. Your background has been in Agribusiness Banking, what has been some of your career highlights? There’s been quite a few, but being involved in building an Agribusiness brand and team from the ground up at a regional Australian Bank that didn’t have a specialised, dedicated Agri banking sector. It proved that you don’t have to have all the latest bells and whistles to have satisfied clients. You just need to put the client at the centre of everything you do. Be available, capable and understand their business. What prompted you to make the move from Agribusiness Banking to StockCo? Having worked in the Agribusiness Banking sector since 2009 with both the Commonwealth Bank of Australia and Bank of Queensland (with a two year stint in London in between to get the travel bug out of my system) I wanted a change from banking, but didn’t want to leave the agricultural aspect of my work behind. My family run a dry land grain and beef operation in North West NSW and it’s always had an influence on my life and the choices I make. Having gained insight into StockCo’s business through their relationship with BOQ, I felt their values and business model were the perfect fit and I am very excited to become a part of the StockCo team. I’ve previously worked with StockCo’s CEO Richard Brimblecombe and COO Tim Pryor and knew I was joining an experienced team who have a huge amount of enthusiasm for StockCo. What do you hope to achieve in your role as Business Manager for StockCo? It’s a multifaceted role and I’m sure it will evolve as I settle into the position. I’m hoping to cast a fresh eye over current procedures and compliance practices to see if there’s anything that we can streamline or any valuable data we can extract. Development of an online portal StockCo’s customers can log onto is also high on my agenda. I’ll be working with Tim, Richard and our distribution partners to help take StockCo to a level where every grazier and feedlot operation in Australia associates the StockCo brand with a fast and simple livestock finance product. They will know we can work alongside their existing bank to free up working capital to help them to concentrate on building equity or perhaps expand, whatever their plans may be. It’s an exciting time for Australia’s livestock industries, what do you see as the biggest opportunities and challenges? The entrance of the next generation into the livestock industry is a complex challenge. With land ownership structures changing and corporations seeing value in agriculture the barriers to entry are high. Traditional banking finance is struggling to evolve with the more economical option to lease land instead of owning it. That’s where I see StockCo coming into play, helping the younger generation get a foot in the door with livestock finance. In terms of opportunities, technology is the buzz word of the agricultural industry. The use of drones to measure pasture biomass, NLIS, real time tracking of weights, movements, grazing habits along with software packages that analyse this data alongside the business accounts. When used effectively they allow livestock producers to maximise their productivity and returns. What advice would you have for a university graduate who is passionate about Australian Agriculture and is looking to establish a career in agribusiness? If you’re already passionate, then half the work is done. Show people in the industry your passion. Start networking. Polish up your LinkedIn profile. Start connecting with people in the industry. Don’t know what area of agriculture you want to be in? Apply for a variety of graduate and entry positions. Don’t be fussy. Going through the application process is valuable experience. If you are offered a position you really don’t think is suitable, you can always say no. Banking graduate positions are a very good stepping stone as they not only expose you to a myriad of different agricultural industries (aquaculture, horticulture, cropping and livestock to name a few) but you also get exposure to the different areas within the Bank. Can’t land that coveted graduate position? Get a year’s hands on experience on a property or look for seasonal positions within your Government’s Department of Agriculture. I had a job during the summer break collecting heliothis moth eggs in cotton crops, another summer I was working for an agronomist. Volunteer your time, do extra jobs on the side. You’ll stand out in the next round of interviews by showing your entrepreneurial side and that you’re willing to put in the extra effort to land the position. Learn more about the StockCo team here.